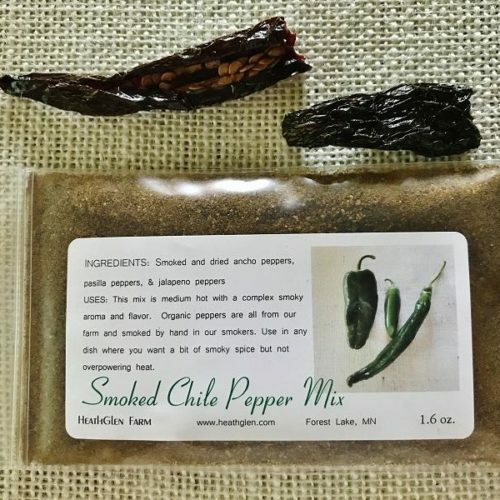 We smoke red-ripe jalapenos on the farm all fall and winter and start again fresh each season. Our spices are never allowed to languish on the shelf, depleting all of their wonderful fresh flavor and aroma. 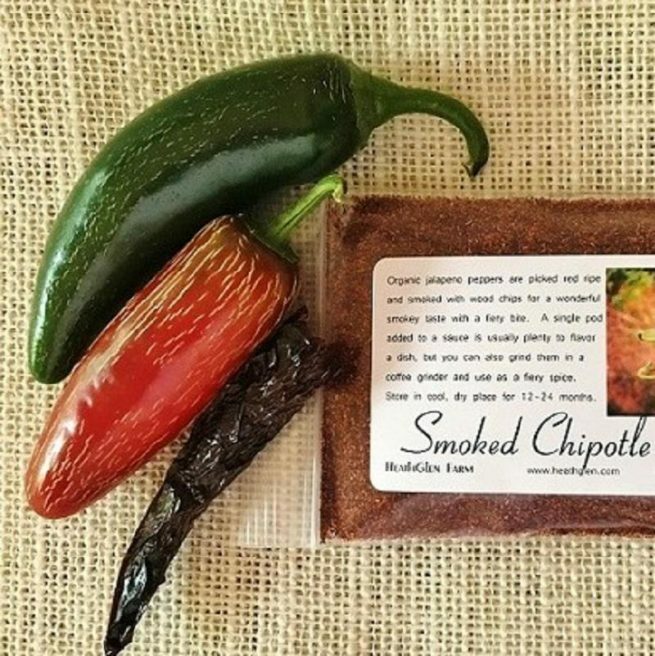 We never use salt or additives in the single spice packets….just the “single origin” spice if you will. This is the freshest of freshest chipotle spices. The jalapenos are from our organic farm and they are allowed to get red ripe before smoking and drying. We smoke them over hickory, dry them and grind them into a powder. Toss it in scrambled eggs, chicken salad, on as a dry rub for roasted chicken or for pork tenderloin. Use it with deviled eggs, soups and sauces, salad dressings and sweet potatoes! Rim a margarita glass with it.